Not all electrical problems at your home or business need the service of an electrician. Even when there is a problem, it is always good to have a good idea what you are dealing with so that you are equipped to respond appropriately to the situation. 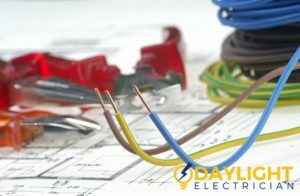 Some electrical issues are caused by human error and can be avoided and corrected quickly by following general electrical safety tips and taking note of some factors before carrying out electrical works. 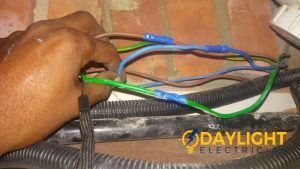 On the other hand, power trips or power failures happen where there is a faulty or wrong electrical wiring installation that has been compromised over time or by changes in environmental factors like moisture. Whenever there is a power trip in an apartment or office, it could be as a result of a faulty electrical panel or distribution board. 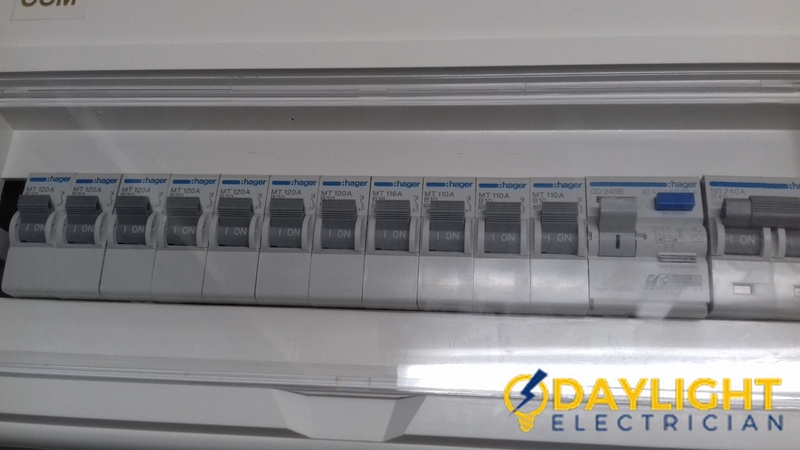 Hence, the first place to check is the consumer unit or electric distribution panel that contains a double pole miniature circuit breakers and terminals. 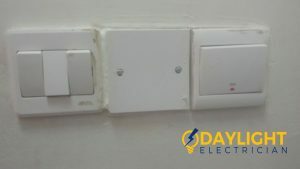 When faced with an unfamiliar electrical problem, remember not to touch anything you deemed immediately call a trusted Singapore electrical contractor like Daylight Electrician Singapore. There have been many cases where people have tried to do their own repair and replacement, but ended up suffering a serious injury and even death. It is essential for you to determine whether the electrical problem at hand is internal or external. Sometimes, these problems can arise from some external fault. If so, contact your electrical service provider as soon as possible especially when DIY electrical troubleshooting doesn’t work. On the other hand, if the problem arises from an internal fault, then it would be better for you to call a professional electrical technician to get it fixed. 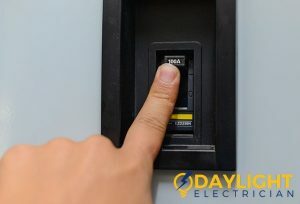 Before you proceed to do any kind of electrical troubleshooting, the first thing you should do is turn off the power switch from the main electrical panel. Make your safety your top priority when carrying out electrical troubleshooting. When you’re done, that’s when you can switch the power back on. Forgetting this step might lead to potential dangers. Hence, if you’re not sure about how to identify the root of the problem, just engage in the electrical services of a certified electrician. When carrying out electrical troubleshooting, it is important that you identify the problem first. 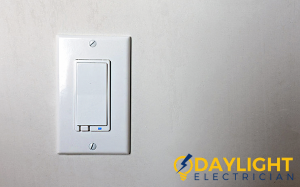 More often than not, a dead electrical socket or a flickering light bulb could result to a faulty circuit breaker. There can be some other reasons behind this. Try rewiring the faulty outlet or refit a new light bulb and check if this works. 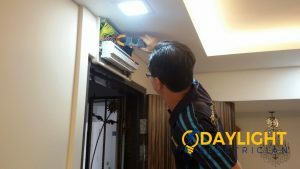 If there are already recurring electrical problems in your home that you can’t fix on your own after electrical troubleshooting, then it might be time to call a trusted and professional electrician like Daylight Electrician Singapore. In some cases, people even need to rewire the entire house when an electrical problem persists. Ignoring electrical issues for a long time will not only lead to a threat to your safety, but it can also damage your electrical appliances. While you might have already heard this before, you can always easily use the internet when you need to get any information about an electrical problem. Electrical troubleshooting has definitely been made more doable for laypeople. Just search for the signs of your electrical problem and you might yourself with a range of solutions. 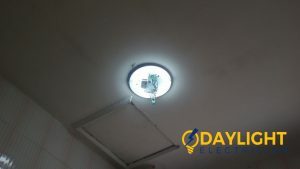 Remember to only trust content from reliable electrical companies like Daylight Electrician Singapore as several important safety measures should be done. It is common knowledge in both residential and commercial areas that you should first focus on identifying the root cause of the electrical problem. Most of the time, such problems initially occur because of an electrical installation that was not properly done. This often happens when you engage in the services of an unprofessional electrician. Make sure to invest in quality workmanship and only hire certified electrical contractors who know exactly what they’re doing. As such, you can avoid electrical repairs and replacement in the future. Flickering Lights: Experiencing flickering lights in your home? 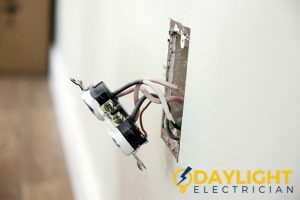 Your electrical wiring might be having a bad connection. This kind of issue is generally called a “fault” or a “short circuit.” This kind of problem needs the expertise and skills of licensed electrical contractors in Singapore. They will be able to tend to your needs as efficiently as they can. Otherwise, if the problem is no tin the wiring, you can try to change the light bulb yourself. Malfunctioning/Broken Electrical Outlets: Sometimes, plugs in your home might eventually fall out of the electrical sockets when in use. This could be the result of an old electrical wiring system that needs upgrading. If so, remember that you are not supposed to do rewiring work by yourself. 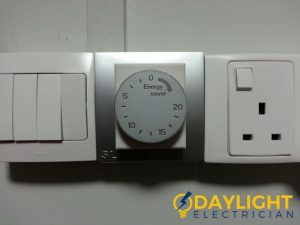 Electrical jobs like this require the expertise of licensed electrical contractors like Daylight Electrician Singapore. 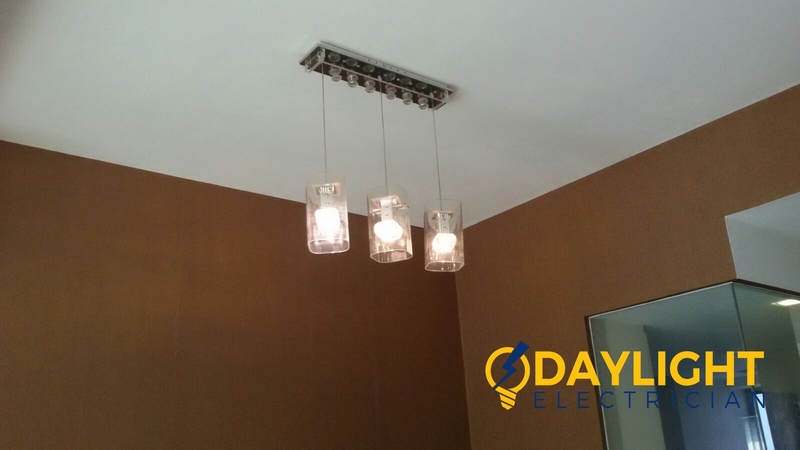 We pride ourselves in providing quality electrical services that done in an efficient manner. Continuous or Recurring Breaker Trips: Does your circuit breaker keep tripping after you reset it? Then the problem could be in its electrical wiring. If not, then it is possible that it certain high-wattage electrical appliances are causing the problem. If the problem persists, immediately engage in a professional electrical service in Singapore. Electrical contractors are able to troubleshoot the issue correctly. 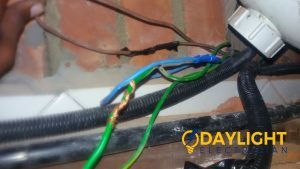 Outdated Electrical Wiring: Outdated electrical wiring is considered to be one of the main causes of common electrical problems in a household. If you have an outdated wiring then it is high time that you get it replaced. Older homes tend to have knob and tube wiring that is made of aluminium. Get reliable electrical contractors to replace it as soon as possible to avoid potential danger. 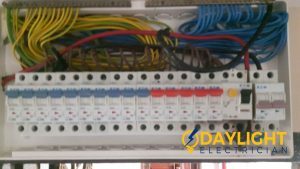 Buzzing or Humming Breakers: Once you hear any buzzing or humming sounds from your breakers, do not think twice about calling trusted electrical contractors to look into the problem. Don’t delay this problem as buzzing or humming noise can indicate major electrical problems that need immediate attention. Like any other electrical component, electrical switches may also run into some problems of their own. When this happens, don’t hesitate to call a professional and certified electrician to fix the issue. Some solutions might even involve working on a trip switch, which requires the skills of an experienced technician. Don’t know how to identify electrical problems? 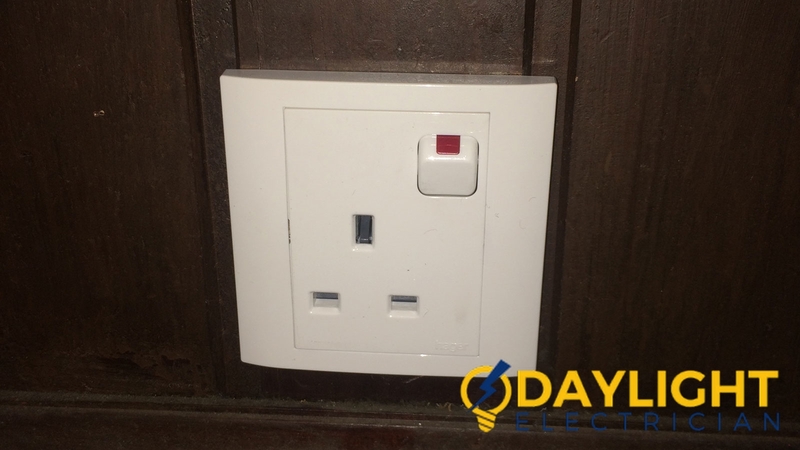 Look through some common electrical switch problems below to familiarise yourself with the issue before your electrician comes. When encountering a flickering light fixture at home, remember to get it checked or replaced as soon as possible. 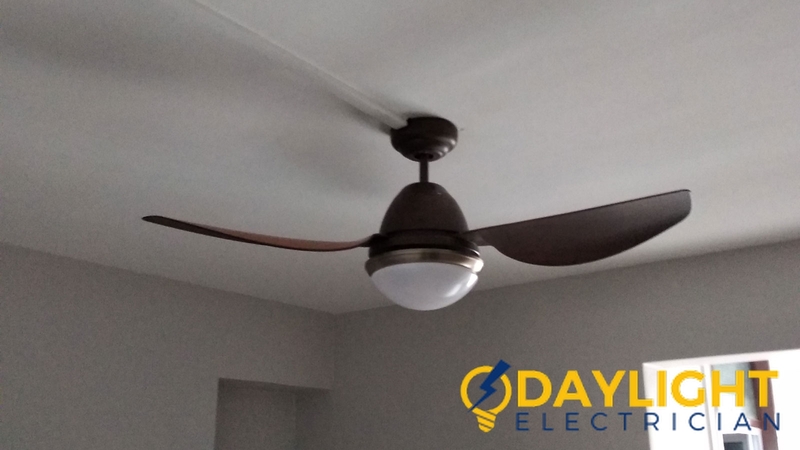 You can easily solve the problem without the help of a professional electrician, but don’t forget that you can only carry this out when you are already well-versed on electrical services. There could be various causes for this issue, one of which is loose wiring and the other might be that the light bulb is already damaged. You can quickly replace the light bulb with a new one, given that you know the exact same model to buy. But if this doesn’t work, immediately call a licensed electrician to troubleshoot and eventually solve the problem. 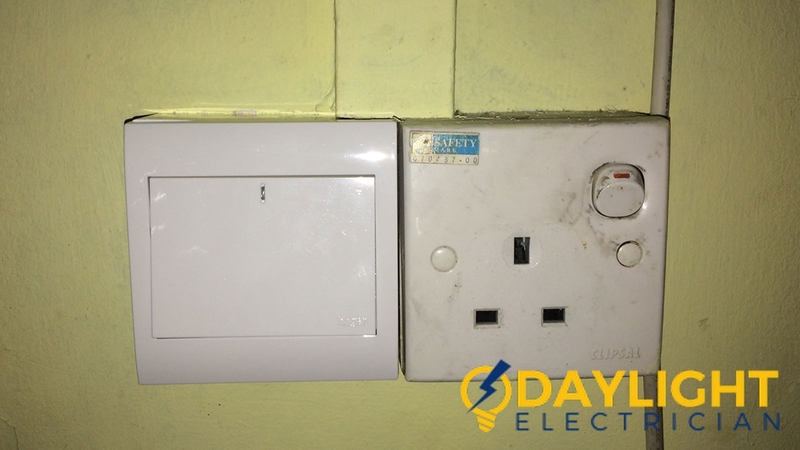 Have you ever experienced flipping electrical switches only to realise that your light fixture or electrical appliance is not working? Have you also tried turning on your water heater switch but realised that your shower isn’t giving out warm water? There can be several reasons behind these problems, but the main issue might be behind your electrical wiring. Another reason can be that your light bulb is completely burnt out, which is most likely to happen if you use an unreliable compact fluorescent lamp. Short circuits may also be the reason why electrical switches are malfunctioning. 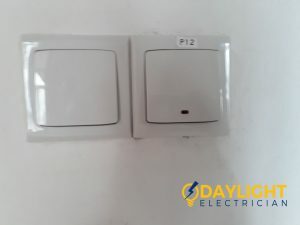 Both a water heater switch and a wall switch in Singapore can feel hot when regularly used. Such cases involve overloading, where it is carrying more power that it can handle. Like the rest of the previously discussed problems above, electrical switches may also be warm to touch because of faulty wiring. 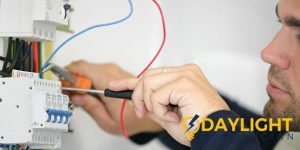 When the problem seems like it poses a threat to your family’s safety, immediately call a professional electrician to troubleshoot your electric power switch as this kind of issue already requires immediate attention. Overloading – This occurs when a certain appliance is plugged into an electrical outlet that has a lower wattage. Always ensure that light bulbs or any other fittings are within the wattage of your power socket. Electrical Surges – There are several reasons why an electrical surge might occur. It ranges from faulty appliances, badly installed electrical wiring, or even when a lightning strikes. Electrical Shocks – Electrical shocks usually happen when you turn a device on or off. 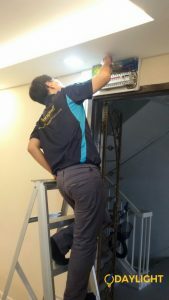 While the root cause might be either from the appliance or the wiring, it is important to immediately contact an electrical wiring contractor in Singapore. High Electricity Bill – Notice a sudden increase in your electricity bill? It might be because of damaged wiring or circuits. Flickering Light – This common household problem often occurs when there is loose electrical wiring. Circuit Breaker Tripping Constantly – Appliances with high wattage usually cause circuit breakers to trip and often leads to power failures. 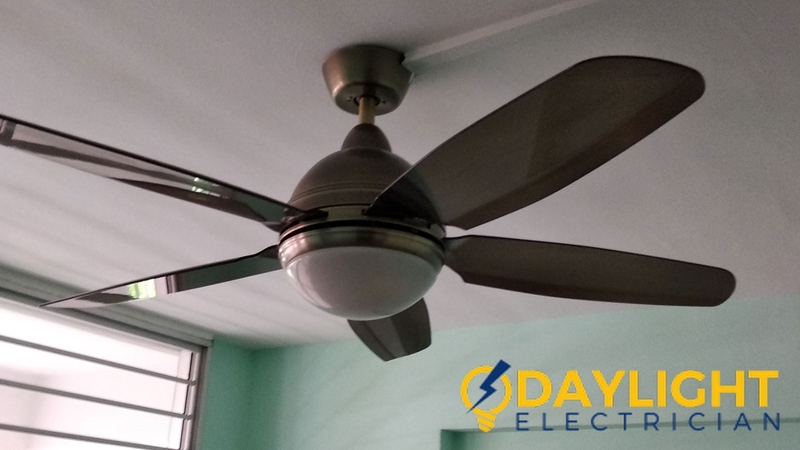 While it is a common occurrence, be sure to call a certified electrician from an electrical maintenance company in Singapore to attend to the problem. Light Bulbs Burning Out – Have you ever experienced buying a new light bulb only for it to burn out a few minutes after you plug it in? There are several reasons behind this problem. The light bulb might have a high wattage, there might be poor wiring on the circuit and mains, or insulation is located near the light. Experiencing more than one of the electrical problems above? Read through these important electrical maintenance tips in order to avoid such issues in the future. This process is simple but it lets you be sure that you are not just panicking for nothing. 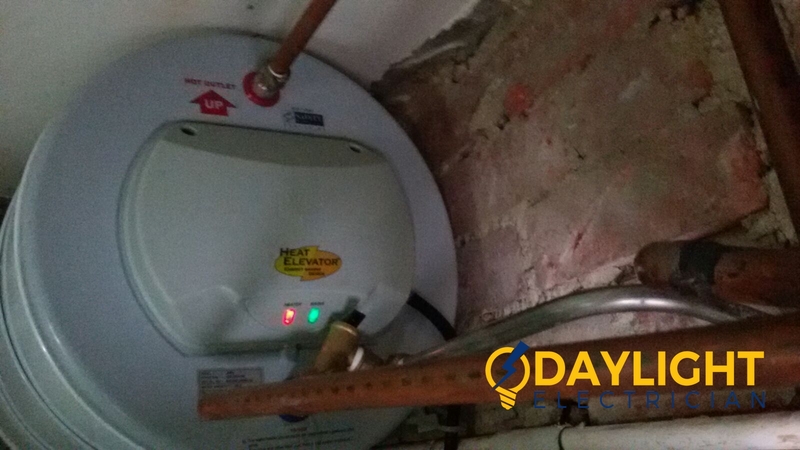 If you’ve checked those above and the issue persists, you can then go through the following tips to help you identify what the problem might be if the power trip happened when using something that draws a lot of electricity like a hairdryer. First, try to identify which cable provides power to the outlet or fixture. Try to identify where each cable goes and see if the appliances are working. You can try to reduce the load of appliances to resolve most power tripping issues. 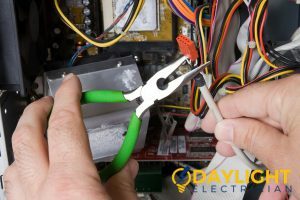 If power trips again after resetting the electrical circuit breaker, you should consider calling in an electrician to do a more thorough check. Our EMA licensed electricians are immediately available to respond to your calls and be at your home or business to help you get to the root of your electrical problems. Constant power tripping and power failures are an indication of issues with your electrical distribution panel. 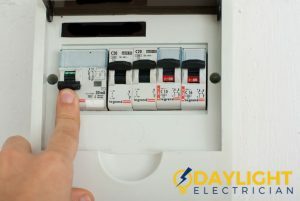 The electrical panel is very important to homes and offices, so you need to have it installed correctly to avoid electrical wiring issues that might lead to power failures. 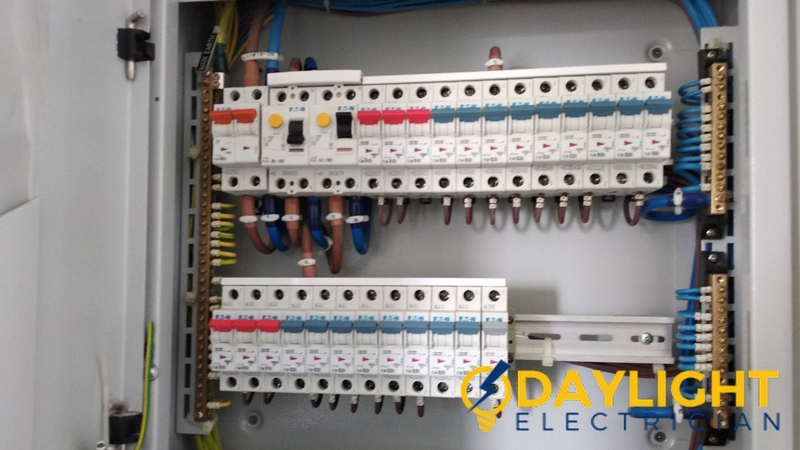 Our seasoned electricians will work to ensure that the correct ratings are used for your electrical distribution panel to prevent frequent power trips or burnt fuses on your circuit breaker. 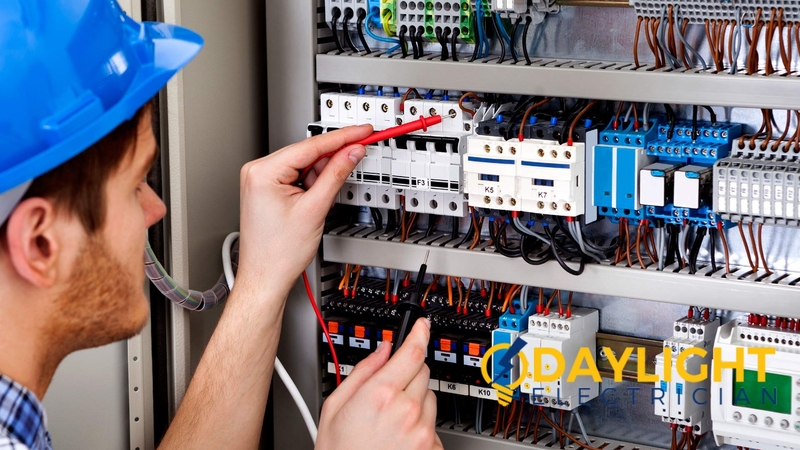 At Daylight Electrician Singapore, we offer you the best quality electrical distribution board installation and more. 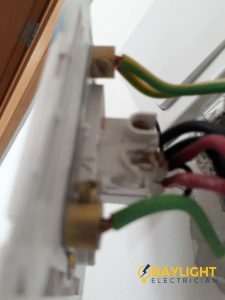 Electrical safety is important and knowing that you do not have issues with your electrical works and wirings is critical to your peace of mind. 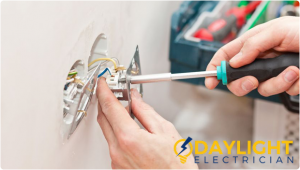 Once you realise that something is not working as it should and none of the DIY tips seems to be effective, contact our friendly customer service staff to book an electrical troubleshooting service. 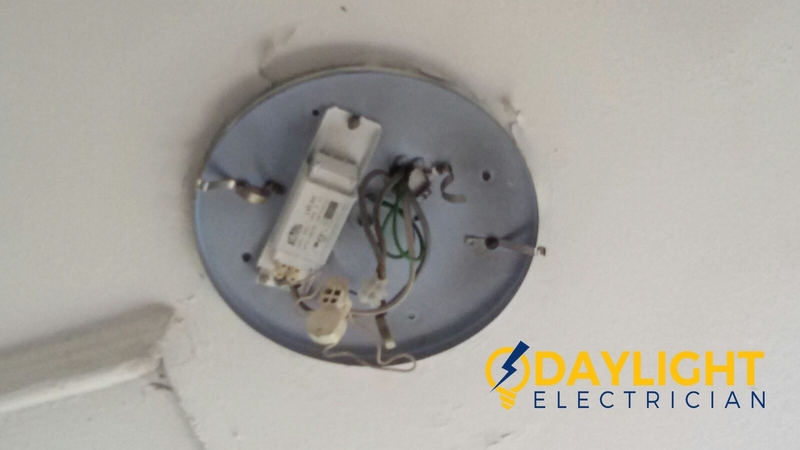 Call us today at +65 6653 6261 or email us at enquiry@daylightelectrician.com to solve your electrical problems with the help of experienced and EMA licensed electricians. 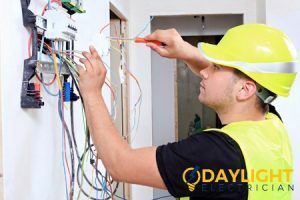 Daylight Electrician Singapore is your electrical service provider of choice for your electrical distribution board installation and troubleshooting needs.